Holland Boulevard is the perfect place to escape for some down time. It is located between Lounges 2 and 3. 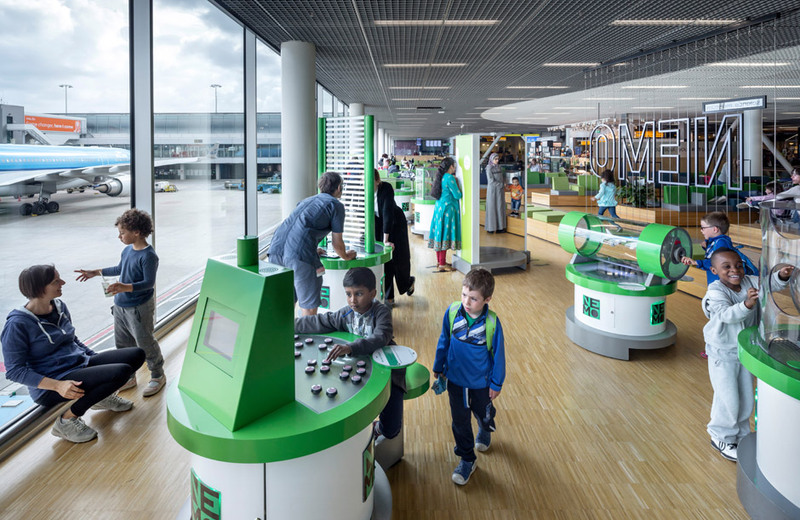 Enjoy interactive science-based activities with your kids at Nemo, or curl up with a good book at the Airport Library. Learn all about Dutch culture before you even leave the airport. Mini-versions of Nemo can be visited for free any time, day or night. 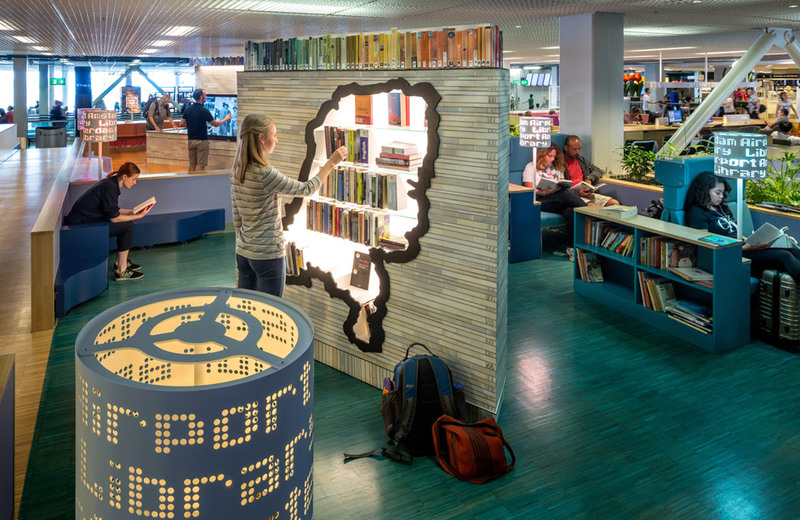 You can also leaf through a book or listen to music at the Airport Library. Holland Boulevard is a great place to shop, where you can pick up tulips, syrup waffles, cheese and all manner of Dutch souvenirs. All this is available without even leaving the airport – with the added bonus of a great view over the aircraft and gates. 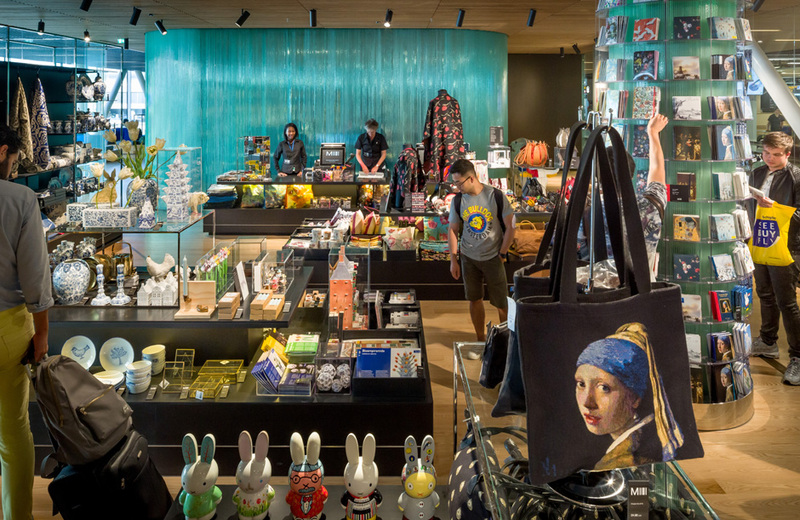 Even if you have limited time in Amsterdam, you can still discover the art souvenirs from the Rijksmuseum. You’ll find treasures from the country’s most famous museum. Take a look before or after your flight. 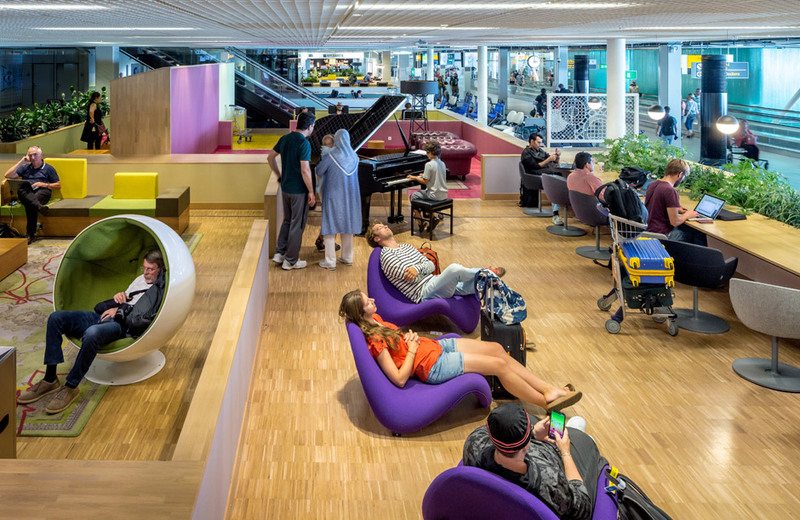 Relax after a long flight or pop on some headphones at the Airport Library. This library has many books, as well as iPads and touchscreen devices which contain an array of stories. Pull up a chair or a bench and unwind for a while with a good book. Nemo is Amsterdam’s most famous science museum. It’s filled with interactive activities, all with a particular scientific bent. 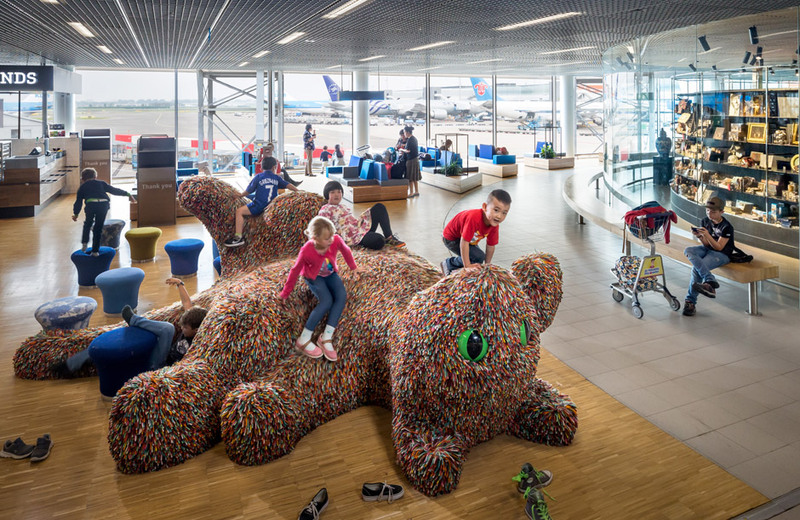 At Schiphol, you’ll find many of those activities on Holland Boulevard. They’re great fun for young and the young-at-heart. Holland Boulevard holds many delights for the avid shopper. Shops like Aviflora for flowers, Swatch for watches and Rituals for deluxe toiletries. You can also visit Tastes from the Lowlands and Dutch Kitchen, Bar & Cocktails to try a typically Dutch meal. Discover more flavours of the world at Kebaya. Check out all of the shops, bars and restaurants that lie beyond security.